Logo is required for a company, CellCo, that sells a solution that supports companies using SAP to have much better quality control when they are making technical changes in their systems. Our philosophy is the idea that small changes in the right place can make a HUGE (positive) difference. -	R&R (Rules & Regulations). This is a proprietary tool and checks the quality of the changes being moved through the system. It is the heart! -	The existing ticketing tool (case mgmt. tool) being used by the customer. In the event the customer doesn't have one, CellCo can provide one, TMS. o	The logo should address these two components of the solution with a clear emphasis on R&R. o	As the "integrated" part of the solution name is the most important, it would be good to have the "I" in ICMS stand out somehow. The logo will drive the corporate color choice (later to be used on website, collateral, etc). Many tech companies that sell similar products use blue. Therefore, it might be advantageous if the logo is a different color, but we're open on this point. o	If you look on the website, you will see in some of the documents a little truck. This truck is carrying a box that has a check mark on it to symbolize that a change has been reviewed, approved and can be moved through the technical systems (ie. development system -> quality system -> productive system). The logo does not have to be a truck, but it could be one or something similar. HOWEVER, remember we are not a logistics company. o	You will also see something that looks like a Rubix cube that is largely made up of green squares (changes that have been checked and approved) and a red square (a change that was checked and not approved). 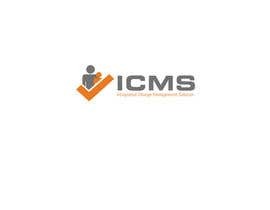 The red square also, however, communicates that ICMS is the core of a successful system. You may find some inspiration here as well. CellCo is a small company with a product we know works (is already on the market used by 3 big companies) and that is not available from any other company on the market in such a comprehensive form. The logo should transmit a feeling of seriousness (after all, quality is serious business) and confidence. However, the ideal logo would also communicate that we don't take ourselves overly serious - i.e. playfulness is ok, silliness is not. REMEMBER: Our philosophy is that small changes in the right place can make a HUGE (positive) difference. The logo is not simply the name of the solution, ICMS. We need an object in the logo that we can work with later in sales brochures, etc. We will require the logo to be produced in all of the standard formats and will need to have the color (RGB) and font specifications. If you need more specification on this point, please be in touch. The logo is the first step in building a corporate identity. We will soon need a website, branding materials (business cards, letterhead, tri-fold brochure layout template, etc). There might be an opportunity to work together on the same in the near future. If you need more information in order to produce a quality logo, please check out the website ([login to view URL]) or be in contact. can you give me a feedback please??? please leave me a feedback!